As specialists in Cosmetic Dentistry, Dental Implants, Family and Pediatric Care, we understand the importance of good dental hygiene and oral care for individuals and families alike. We implement holistic dentistry by using non-toxic dental materials, hence eliminating their impact on overall health. Our patient’s health and well-being are our number one priority. We are committed to providing you with the best care possible in a fun, pleasant environment. From common dental problems to gum disease, our dentists, technicians and staff provide an array of dental services to meet your needs, all in one convenient location. Our goal is to be the best dentist office in San Diego County, CA. Using the latest technology, we work together as a team to give you exceptional quality treatment from the first time you walk into our dentist office and every time thereafter. We would love to treat your whole family! From pediatric to geriatric services, we cover just about EVERYTHING. We perform full cosmetic bleaching services alongside world-renowned ZOOM Express whitening services and Malocclusion therapy to give you those incredible smiles you see on TV and in magazines. Our world-class Invisalign treatment tailors seamlessly to your unique dental structure and perfects your smile without the disliked appearance of braces, while even preventing those destructive grinding habits many people have. Our various Resin and Sealant treatments help drastically reduce sensitivity while tackling numerous cavities, all while keeping your teeth looking fantastic. Our unique Zirconia crowns and Porcelain veneers provide absolute protection for your tooth while looking almost identical to your own teeth through custom shading and precise molding. Our incredible hygienists perform unparalleled Prophylaxis and Plaque Therapy to treat and even reverse the dangerous effects of Dental Caries and completely prevent Edentulism and Periodontitis. We also provide prevention services for one of the world’s leading silent killers, Oral Cancer, which many people don’t notice until it’s too late! At Pearl Cosmetic and Family Dentistry, we welcome all members of your family to our office. Our friendly staff is trained to work with all age levels, from young children to older adults. 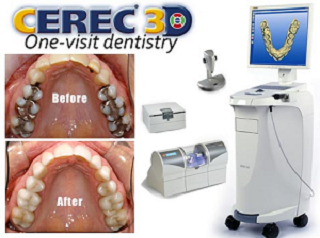 For over 20 years, we continue to provide the best dentistry by implementing and using the innovative technology such as lasers, intra-oral cameras, less radiation digital x-rays and excellent infection control practices. These helpful devices help eliminate diagnostic doubts and aid in predictable treatment planning. 8 AM - 2 PM.